In the age of social media when the average person’s attention span has gone down to less than 12 seconds, your images need to stand out more than ever. It is not enough to take the perfect photo, you have to put in the effort to make it look just right. That is where photo-editing apps come in play. The best photo-editing apps are the ones that are easy to navigate and packed full of exciting features. Here are some of the best photo editing apps for abstract photography in 2019. Google’s Snapseed is one of the most popular free photo-editing apps in the world and with good cause. The app allows you to tune, crop, rotate and transform your photos into pieces of art. 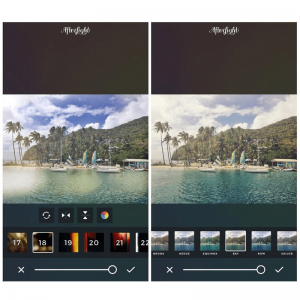 Snapseed comes packed with 29 filters and gives you the freedom to customize each of them as well as create your own. The app offers many stand-out features like Control Point technology for selective editing, Lens Blur to add bokeh effect to images, Healing Brush to take care of spots and blemishes and many more. VSCO provides the best photo-editing tools and a thriving online community to share your masterpieces. The app allows you to make subtle as well as intense adjustments to your photos. With VSCO you can make your photos look like they were taken from an analog camera. Applying filters is as easy as swiping right. The app allows you to adjust the exposure, contrast and temperature of your photos as well as manage skin tones. 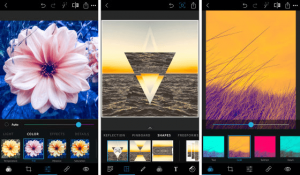 This app is Adobe’s answer to photo-editing on your mobile device. 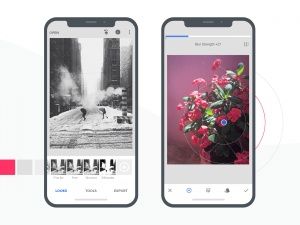 Packed with a plethora of amazing features, the app allows you to rotate, color, flip and adjust hue, brightness and white balance of your photos. Awesome filters like Glow and Superpunch help make your photos stand out. Other features include blemish control and defog to make your photos cleaner and sharper. This app is great for photo-editing novices; it offers all the features of a more advanced editing app like Photoshop but is much simpler to use. Features such as healing brush, color enhancements, red-eye correction and more make Pixlr a must-have editing app. 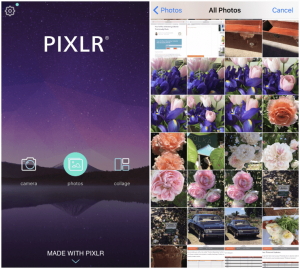 Pixlr lets you edit your photos and create collages. You can also add text and stickers to your photos to make them more appealing. Erase blemishes, whiten teeth, adjust lighting and create amazing photos with the Aviary app. The app has many filters you can choose from and you can add stickers and frames to enhance your images. The photo editor is integrated with Behance, an online portfolio service that lets you share your amazing work. This is the perfect photo-editing app for people who love to play with lighting and color effects on their photos. A Color Story offers more than 100 filters for you to choose from and 20 different tools to enhance your photos. The app offers selective adjustment so you can work on different parts of your photo instead of working on it as a whole. 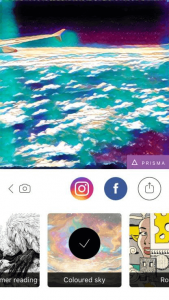 Prisma helps you convert your photos into works of art. It uses deep learning algorithms to make your photo look like it was painted by Van Gogh, Munk, Levitan or Picasso. There a number of filters you can choose from and exciting features like “background removal” that allows you to place yourself and others in front of different backgrounds. 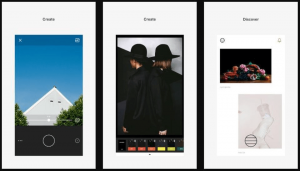 SKRWT is a handy little app to have on your phone. 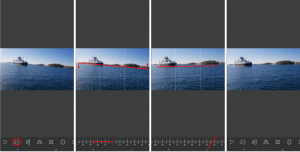 It helps you straighten your photos and adjust the angles to enhance the quality of your photos. If you’ve taken a photo from a weird angle and now the subject is distorted, all you need is this app to reverse the distortion. This new and improved version of “Afterlight” comes packed with an exciting list of features and filters. You can customize filters or create your own to give your images just the right look. Vibrant color grading and in-built image enhancements make your photos look professional. The app allows you to add overlays and textures to your photos so you can superimpose two images together. You can adjust the hue, saturation and lightness of your photos to make them look just right. The Pinch Zoom feature allows you to take a closer look at your images and make precise edits. Enlight is like Photoshop but better and simpler to use. You can flip, rotate, straighten or crop your photos easily. Customizable filters and advanced features like built-in masking, tone curves and custom presets allow you to create professional images. The app also lets you turn your photos into sketches or street art and share your creations directly on social media. You can also create collages and memes to really express your creativity. Darkroom is a favorite amongst photographers and enthusiasts alike, thanks to its broad spectrum of photo editing tools. This free app allows you to enhance your photos and make them look more professional. 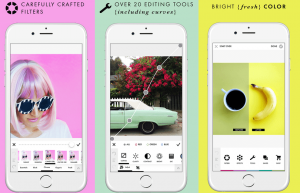 The stand-out feature for this app is its color correcting tools that include, Curves, Tones and Levels. 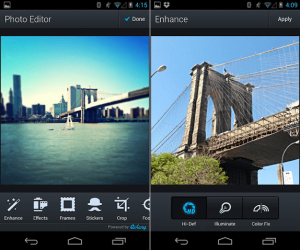 You can undo and redo changes as many times as you like, making this app perfect for extensive color editing. Litely was designed to be a quick and easy app to edit your photos on the go. This app allows you to crop and adjust your photos and make them look beautiful. You can adjust exposure, sharpness, vibrance and vignette for better-looking photos. Litely starter pack offers 9 presets but you can buy more from the shop. Nothing beats a photograph taken under professional studio lighting and at just the right angle. But photo-editing apps can help you enhance the quality of your photos and make them look all the more beautiful.